We’re all here because we think great corporate social responsibility should be normal. Emma’s background is in commercial and central government sectors in New Zealand, Australia, Malaysia and the United Kingdom. Emma's experience is in consultancy, senior project directorship, assurance, and project management roles. Emma has led technology implementations in beachhead projects in Asia-Pacific and had key roles in business transformation, innovation, change leadership and strategy development. She has established a number of quality assurance frameworks and professional services practices. She has also been the Chairperson of our Board since October 2017! 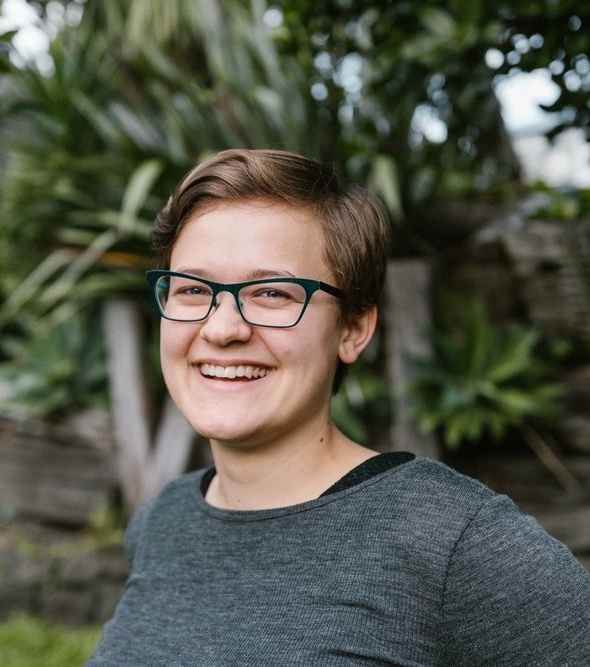 "I saw 'Go Home Proud' on the website and knew I wanted to be involved"
Gerri joins the Step Changers Board with a wealth of experience in leading sustainability initiatives with New Zealand's own Z Energy. She is helping our team to develop their CSR consulting resources, and to develop the team's strategic plan for 2019. You can see more about Gerri and her thought-leadership in the CSR space on her LinkedIn. Youssef is a top of the line P3M (Portfolio, Programme and Project Management) Practitioner, Consultant and Presenter. He has over 23 years’ experience in various countries. For the past 10 years, he has been based in Wellington and servicing customers and clients in NZ, Australia, India and other countries in the Asia Pacific region in both the private and public sectors. He joined Step Changers because he is passionate about mentoring early stage organisations and has a strong social conscience. Step Changers is just one of the community organisations he's involved with - having also been a member of the Wellington Rotary Club for more than 7 years. Rosie started Step Changers in 2016 after working with UNICEF's marketing team for more than two years. She is passionate about making corporate social responsibility normal and has an interesting tale or two to tell about her time spent living in Cambodia - the place she moved to get Step Changers off the ground! Rosie's goals for Step Changers are global, and outside of her work with us she is found studying economics, working in marketing, and pursuing adventure photography. We have a marketing, development, CSR expertise, operations, and legal team in the inner Step Changers team. If you’d like to get involved, you could be volunteering alongside with some of these faces soon. "Because Kiwis should get to go home proud!" Bruno is our team's Communications Lead, which means he's responsible for running our content engine and communicating our purpose to the world. He comes to Step Changers with a background in strategic communications with the public sector and he is currently studying for a Doctorate with Cornell University in New York! We're super lucky to have him onboard. Bella is our Auckland-based Business Development Manager! She is interested in corporate social responsibility because she grew up around a family-business that prioritised responsible practices and she wants to help more Kiwi businesses do the same. Outside of Step Changers, Bella studies business at AUT and she works as a Buying Assistant at Flo + Frankie. Cordelia is our go-to for keeping this ship afloat. She's been with Step Changers since the early days - first meeting Rosie in Kampot, Cambodia while she was based there for a volunteering gig. If you join our team, chances are you'll have a lot to do with Cordelia over time! Outside of Step Changers, Cordelia studies mathematics and politics at the University of Auckland and coaches competitive Waterpolo. Elle is a lawyer with Bell Gully in Wellington! She first learned about Step Changers through Sara, and has since come onboard to help Sara map the Partnerships Programme for Step Changers. Kevin is our German developer! He works on our database and helps to grow the list of charities that we work with. He joined because he was looking for a charitable purpose to use his skills for. Gemma joined Step Changers in September 2018! She studied corporate social responsibility in depth at the Norwegian School of Economics, and hopes to make a career out of combining her expertise in marketing, strategic management, and CSR. Emily is a professional storyteller at goodtogether.co.nz. She runs her own videography and photography business, and has extensive experience working with NGOs to tell compelling stories. She’s joined Step Changers after meeting Rosie, and she’s hoping to help us showcase local Tauranga-based charities on Step Changers. Sara is the strategic mind behind the Step Changers Partnership Programme. Together with our Partnerships Team, Sara has mapped out what tools are the most useful for businesses in developing CSR programmes and helps to make sure our programme runs smoothly. Outside of volunteering with Step Changers, Sara is a lawyer with Bell Gully. Brittany was referred to the Step Changers team because she was looking for a community project that embraced her values and that would let her devote her skills in development to a good cause. She's joining the team with a goal of mapping Step Changers' technology requirements and working with the development team to grow the quality and reach of Step Changers' database. Rosie is our Volunteer Coordinator! She's based in Wellington and has experience in Human Resources and Management. She is our first port of call for any new volunteers joining the organisation, or for any of our existing volunteers that need support in any way. You can read more about Rosie and her journey here. Alicia is our Wellington-based volunteer responsible for our internal accountability and reporting systems! As a registered charity, we have stringent accountability measures we must maintain in order to retain our charitable status. Alicia has experience in reporting for organisations and so this was the perfect role for her. You can see more about Alicia over on LinkedIn! Social Scientist + Writer | August 2018 | Gautam Buddha Nagar, India. An anthropologist by training, Tuhina presently teaches Sociology at Shiv Nadar University, India. She loves listening to people and telling their stories, and so she is working for our marketing team and helping to tell the story of Great CSR a whole lot better. She is excited about volunteering for Step Changers because she is passionate about communities and giving back to them! Georgia is the Graphic Designer responsible for our brand guidelines and the branding of our Partnerships Programme! She joined Step Changers because she was looking for a new volunteer opportunity to delve into and liked the look of our mission! You can see more of Georgia's design portfolio here! To join the volunteer crew running Step Changers, you can bring a skill and a passion for making great corporate social responsibility happen in your organisation - and that’s all you need. Many of us run CSR programmes in our own organisations, or else we’re academics and read a lot about the topic. We’re based all over the world too, which means location is no barrier. The Volunteer crew work in five streams: marketing-comms (who run our website, and digital comms), operations (who run the ship), CSR expertise (academics and professionals who pull together and review our content on CSR), development (who work on our database of community projects), and the legal team who help us out with advice from time to time and access to their own networks. If you think you could get something out of giving to one of these teams, we’d love to hear from you!